Ottawa's Hyundai dealer Bank Street Hyundai will do anything and everything to earn your business! If you've been looking for a great place to buy your next new Hyundai, or a convenient place to service your Hyundai in Ottawa, then your search is over. We will work hard to earn your loyalty every day. At Bank Street Hyundai in Ottawa we sell new Hyundai vehicles, provide Hyundai genuine parts and service, and we carry all makes and models of used cars. 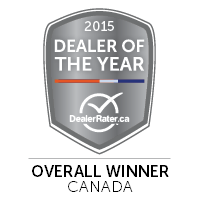 At our state of the art Hyundai dealership we take pride in providing our Ottawa customers with a great experience. Visit us today to find out why Nobody deals like Dilawri's Bank Street Hyundai! Looking for a new Hyundai in Ottawa? Our Hyundai inventory provides you with the largest selection of ready to go Hyundai's in the Ottawa area serving Ottawa, Vanier, Gloucester, Nepean, Orleans, Hull, and Gatineau. We carry the latest new Hyundai Elantra, Hyundai Accent, Hyundai Tucson, Hyundai Santa Fe, Hyundai Genesis, Hyundai Sonata, Hyundai Veloster, Hyundai Sonata Hybrid, and more! Over the decades that we have been in business, our clients have come from all over Ottawa, including communities like Gatineau, Orleans, Hull, Vanier, and Gloucester, as well as many loyal customers all throughout the province of Ontario. Experience the best Hyundai service in Ottawa. If you come to Bank Street Hyundai, you'll be in the right place! As the #1 volume Hyundai dealer in Ottawa and Eastern Ontario we see thousands of loyal customers returning to take advantage of our premiere Hyundai sales and service every single day. Visit Ottawa's Bank Street Hyundai by Dilawri today at 2788 Bank Street, Ottawa, Ontario K1T 1N3. Bank Street Hyundai sells new Hyundai vehicles in Ottawa including Cars, SUVs, Hatchbacks and Coupes. We are committed to earning your business contact our Ottawa Hyundai Dealership today! Get the best service for your Hyundai vehicle in Ottawa at Bank Street Hyundai, your local Ottawa Hyundai dealer. Book your next service using our Ottawa Hyundai service booking form now! Attention Ottawa used car buyers! Our Ottawa Hyundai dealership sells thousands of used cars, and we buy yours too! Take advantage of our free vehicle appraisal, and check out our incredible Ottawa used car inventory. If you're in Ottawa and need help getting a car loan for a new Hyundai or used vehicle we're here to help. Our on-site finance specialists will help you get a loan for the vehicle of your dreams, check out the finance department at our Ottawa Hyundai dealership!